01182013_Becherer_IraqMedical018: Doctors of War: Casualties of War: Global News Portfolio: New Orleans based Photojournalist covering the Deep South and beyond. 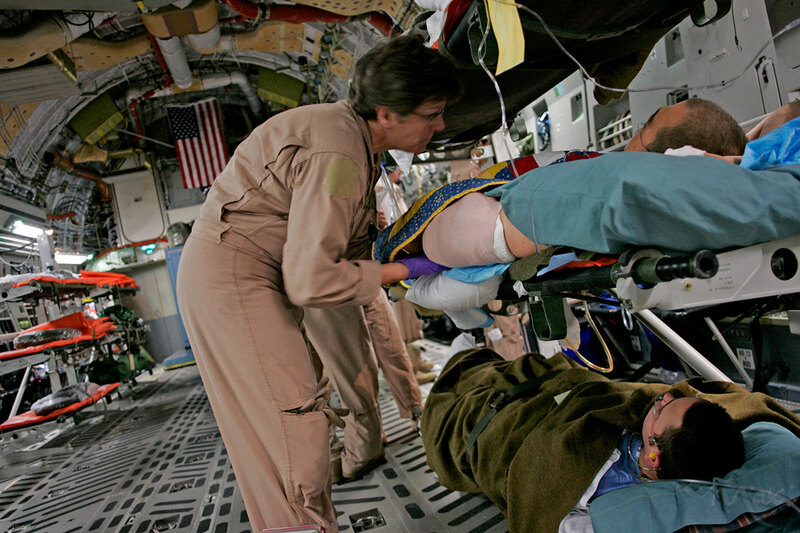 A member of the Air Evacuation Unit checks on wounded American soldiers being transported from the Air Force Theater Hospital in Iraq to the Landstuhl Regional Medical Center in Germany. Thanks to the rapidity of the transport from the battlefield to the hospital, soldiers have a 96% chance of survival from their wounds once they make it to the hospital.